Updated Thursday January 14, 2016 by John Hand. Do you have to live or attend school in Niskayuna to play in the Niskayuna Baseball League? 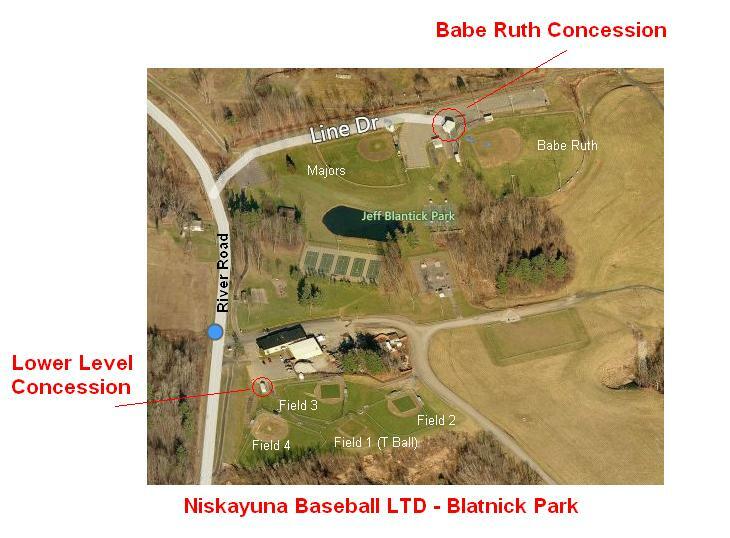 All players must reside in the Niskayuna School district inorder to play in the Niskayuna Babe Ruth/Cal Ripken League. This applies to Recreation, Travel and All Stars. A player can live in the district and attend school elsewhere (private school, BOCES, etc) and play in the League. But a player can't live outside the district and play in it. What are the Recreation Levels? The league a player is eligible for is based on Baseball age is based on the players age on May 1. Cal Ripken level teams tee ball, A, AA are based on school primarily as well as feedback from parents and coaches. Use the comments area at the end of the registration process if you have a special request...e.g. particular friend to share a ride. AAA and Majors are based on a work out day and draft a few days later. Our baseball schedule traditionally begins the third week of April and goes until around the time the school year ends. For many divisions, the playoffs will extend until shortly after the end of the school year. Teams will begin practices as soon as the weather clears - late March or early April. Baseball practices are determined by the Coach or Manager of your players team. He or she typically consults all the parents to find the best location and time slot. Most coaches are flexible. For the younger ages because teams are primarily school based, typical conflicts for one, are conflicts for the others. Practices will start as soon as teams are determined and the fields are opened. Late March or early April typically. The practice schedule is set by each team individually, so there is no way to know up front what your practice schedule will be. This will be a decision made between a manager and the families on the team. There is no "set day of the week" for games. Each team will have a schedule with games on various weeknights throughout the season. On weeknights, warmups for games begin at 5:30 (games start at 6:00). On Saturdays, games will be run throughout the day. We try to avoid Sunday games, but sometimes the number of teams requires us to schedule them. Makeup games from rainouts will be held whenever we can schedule them, including on Sundays. FOR T-BALL, we have traditionally played all games on Saturday morning, although the Board may elect to change this in order to better use the fields. T-ball plays only one game per week. The team rosters are generally set during mid-March. At that point, managers are assigned and given team lists. You should hear from a manager by the end of March. If you do not, then contact the league or any board member. Are there any "hidden fees" above the registration and capital improvement fees? You do have to provide your child with a baseball mitt. If you are playing Triple A, Majors, or Babe Ruth, you will also need to buy baseball pants. You will also be required to work the concession stand at least once during the season. What do you provide each player? Each player will receive a team shirt and a team cap. For Triple A, Majors, and Babe Ruth, the league will also provide socks in team colors. For all levels fee's cover: hats, uniforms, equipment and gear, balls, (umpires if provided), field upkeep and facility expenses, lease payments, rental of fields, capital equipment and servicing any capital loans. They also include insurance, fee's and dues for the various leagues, associations, and tournaments we partake in as well as other administration expenses. What is Babe Ruth / Cal Ripken Baseball ? It's a baseball league with rules that supports development, safety, umpires and growth of the game for players age 4 to 18. Its similar to Little League Baseball that you see on TV or hear used to describe all youth baseball. However their are some differences between the two leagues. The sport of baseball is very much the same but some key rule differences. Here are just a few: Babe Ruth/Cal Ripken base a player eligibility based his or her's residence in a Town/School Districts as opposed to Little League which is Town or community based. Lastly, Little League has a pitch count rule in effect with record keeping to support it. Cal Ripken supports good coaching when it comes to pitching but its less stringent on pitch count rules.